Philadelphia, P.A. (August 17, 2015). Damian “Jr. Gong” Marley and Stephen “Ragga” Marley will kick off their Catch A Fire Tour at Reggae in the Park on Saturday August 29th, in celebration of Bob Marley’s 70th birthday year in Philadelphia, with Morgan Heritage , Tarrus Riley, Jo Mersa and Black Am I rounding out the line-up. Reggae in the Park known for their dynamic line up and family oriented show each year is set to stage another memorable showing of reggae, roots and culture this year. 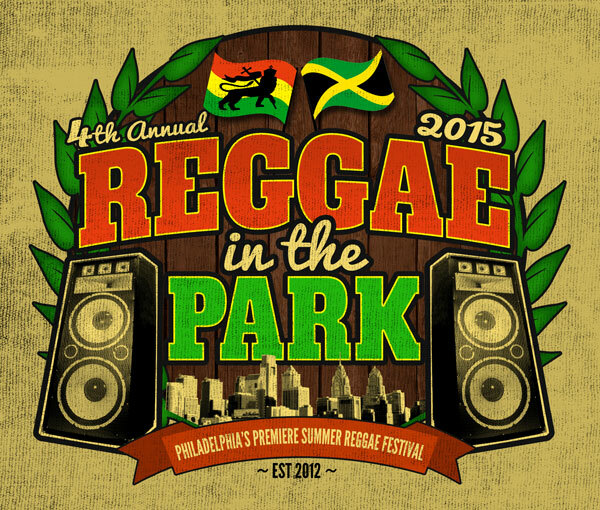 family fun-filled event during the summer season with a host of reggae talent. The event also features arts and craft vendors, and the expansion of the global and Caribbean food vendors at the top of the hill. As Reggae in the Park continues to grow they have added several new fun filled family events and specialty vendors in order to achieve the full reggae experience. Spokey Speaky, Dub Smith and Mumma Gee. With a stellar line-up and more artists to be added, it is evident this is an event you do not want to miss. studio working on his upcoming solo album. family’s label Ghetto Youths International. also blazes the trail towards the exciting future of roots. intention to open people’s minds and let them think.